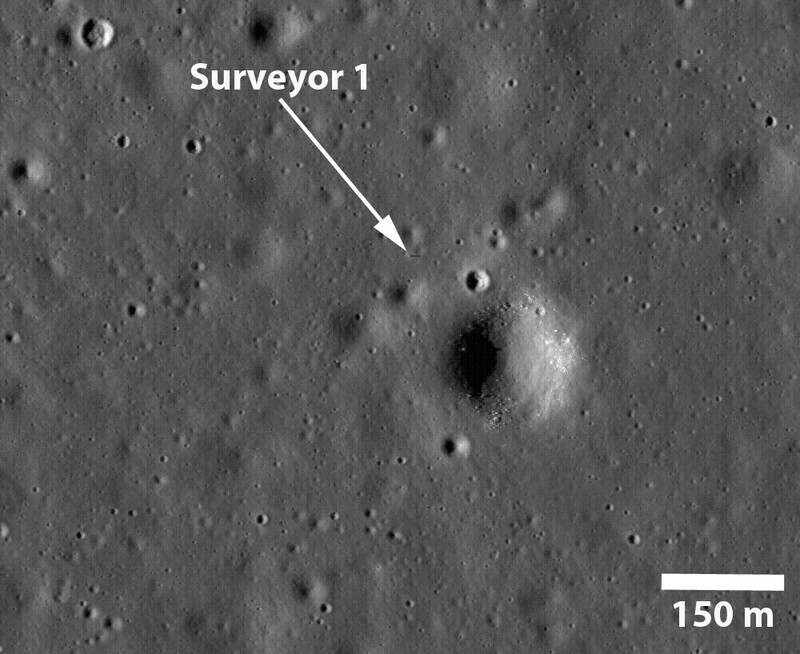 Explanation: Fifty years ago, Surveyor 1 reached the Moon. Launched on May 30, 1966 and landed on June 2, 1966 with the Moon at full phase it became the first US spacecraft to make a soft landing on another world. The first of seven Surveyor missions intended to test the lunar terrain for the planned Apollo landings it sent back over 10,000 images before lunar nightfall on June 14. The total rose to over 11,000 images returned before its second lunar night began on July 13. 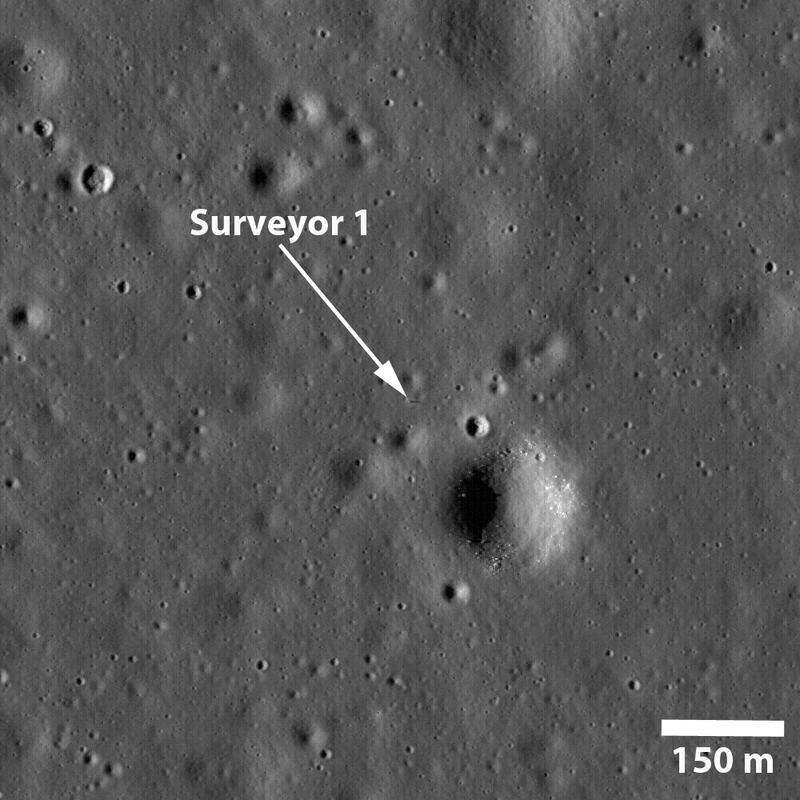 Surveyor 1 continued to respond from the lunar surface until January 7, 1967. Captured in this 2009 image from the Lunar Reconnaissance Orbiter, the first Surveyor still stands at its landing site, a speck in the Oceanus Procellarum (the Ocean of Storms). With the Sun low on the western horizon the lonely, 3.3 meter tall spacecraft casts a shadow almost 15 meters long in the late lunar afternoon.